What are friends for? These 2 ladies, Missy Banks and Annie Koch, are not only great friends to hang out with, but are an inspiration for living a healthy lifestyle. We all need more friends like this, that eat with purpose and exercise regularly and inspire everyone else by their example, to do the same. This recipe was inspired by a conversation we had one day about the importance of keeping our brains and hearts healthy, especially as we get older. The increasing rate of illnesses like Alzheimer’s, Diabetes, and women with heart disease is alarming. 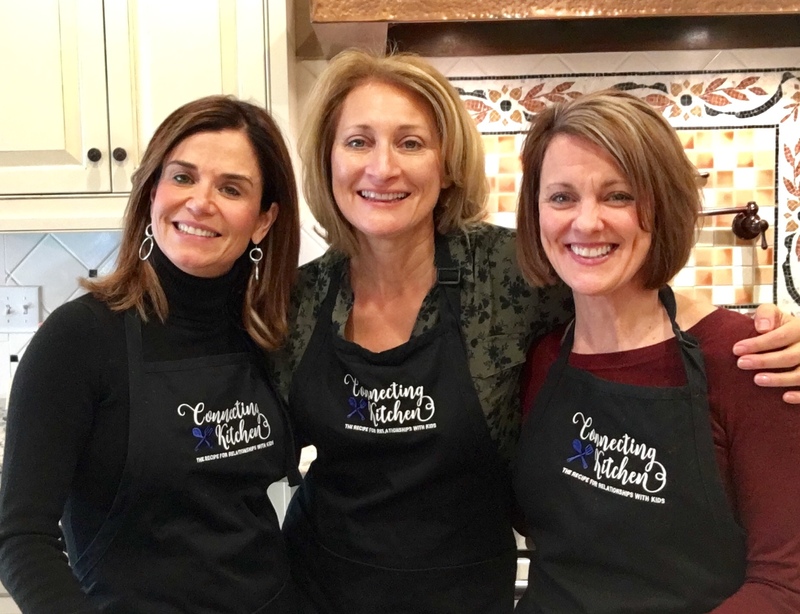 These ladies were looking for a new recipe that would support brain and heart health, and the Brainbow Bowl was born. It’s so important to not just think about what food you are serving, but how your food is serving you. Are you giving your body the nutrients it needs? It’s hard to know exactly what your body needs and when, so the best thing is to load up on healthy foods. 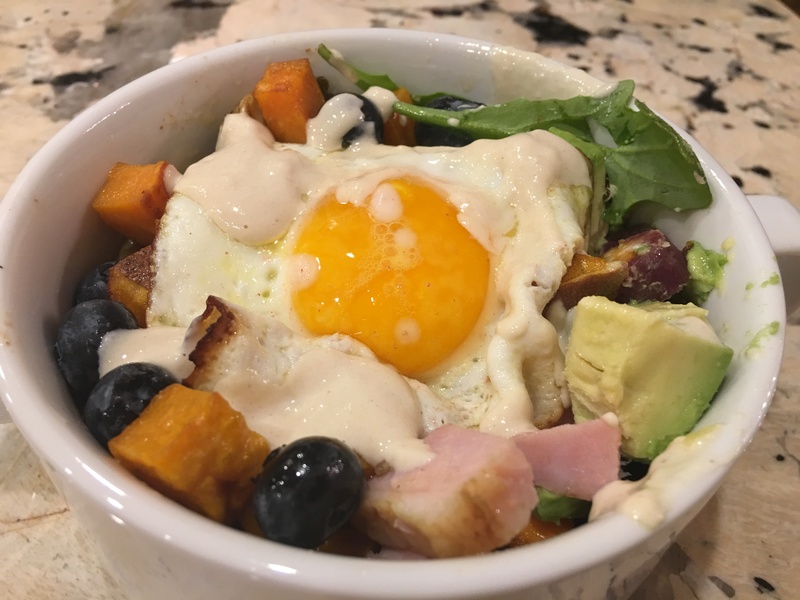 I named this recipe the Brainbow Bowl (pretty catchy, right?) for the long list of healthy foods for your brain and all the beautiful colors. Always eat a rainbow of colorful foods to get the wide variety of nutrients you need. 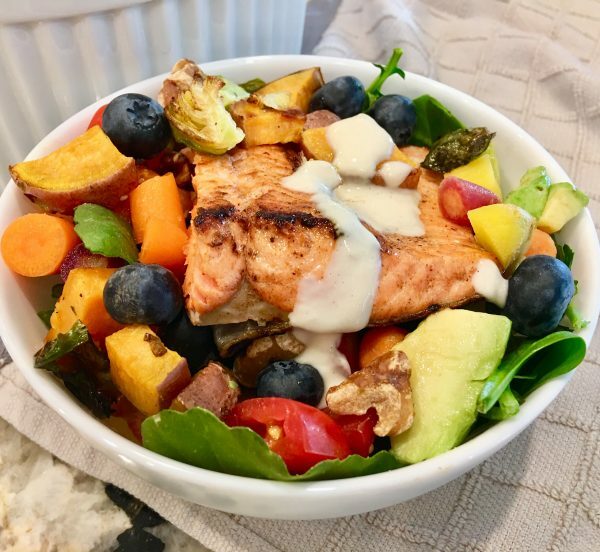 This recipe of salmon over roasted vegetables, doesn’t leave anything to chance when it comes to getting nourishment. 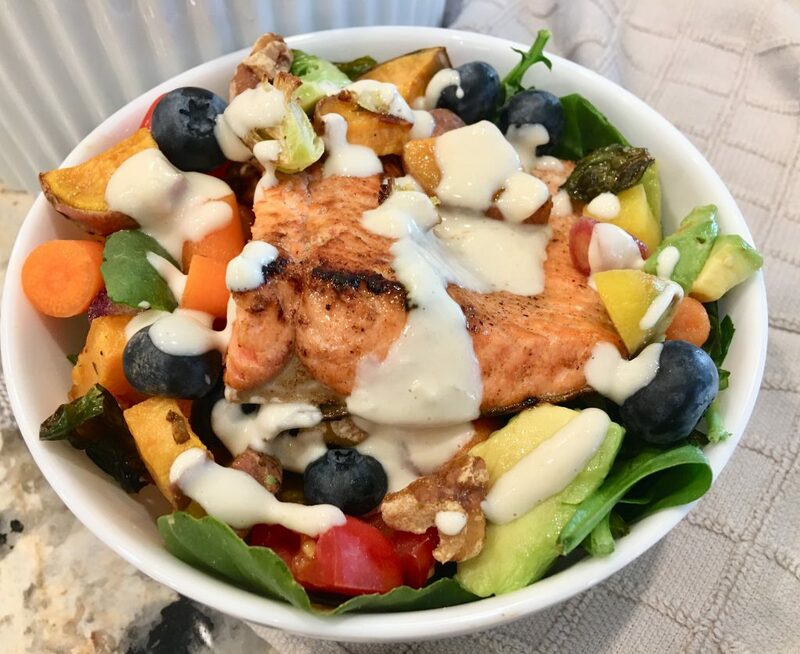 It has so many nutrient-dense, brain-fueling and heart-healthy foods — blueberries, walnuts, salmon, sweet potatoes, avocados, Brussels sprouts, carrots, tomatoes, spinach, and arugula. That’s a mouthful and a powerhouse of a meal! 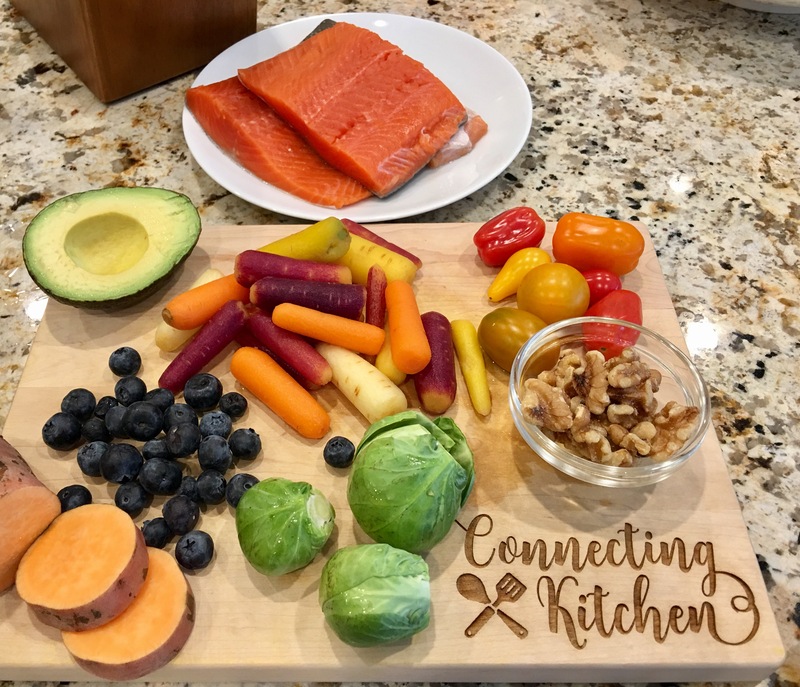 So here we are, making this dish together, making the connection between food, friends, and a healthy lifestyle. Check out the video to hear our conversation about how food is only part of the equation for a healthy lifestyle. These women take their exercise seriously too. One’s a runner and the other lifts weights at least 5 days a week. We all agreed that it is important to build that muscle mass, burn those calories, and do cardio to keep your heart pumping strong. Annie has just added some yoga to her exercise routine, which is my favorite and so good for you. I love yoga for maintaining flexibility and a peaceful mind. Exercise on a regular basis is just as important for brain and heart health as the food you eat. So make sure you Move! I also have to mention that we are in a book club together. Reading and learning improves brain health as well. Don’t forget to feed and flex and exercise your mind. Everyone was surprised that I added blueberries, but I couldn’t resist. They are at the top of the list for brain and heart healthy foods. They are super high in anti-oxidants which helps prevent heart disease and mental illness, and are believed to improve memory and cognition. They also add just the right amount of sweetness to this dish. 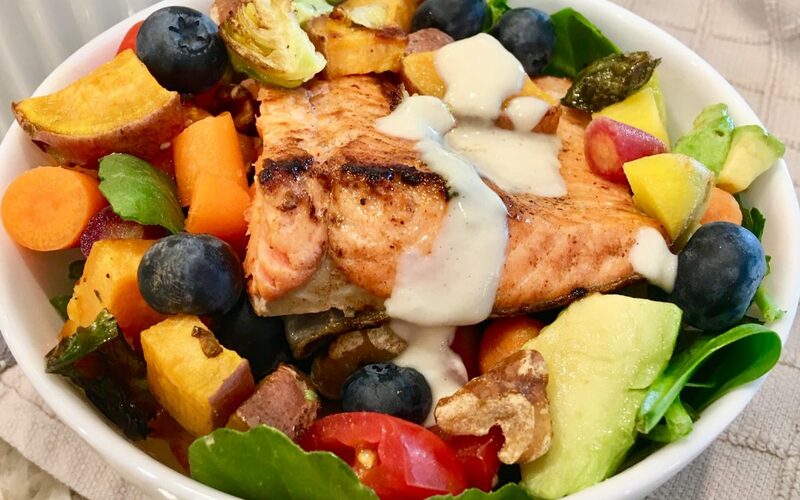 Salmon is a lean protein that is loaded with healthy Omega-3 fats that support both brain and heart health. Sautéing the salmon in olive oil and grass-fed butter ups the healthy fats even more. The taste too! I never met a roasted vegetable I didn’t like. 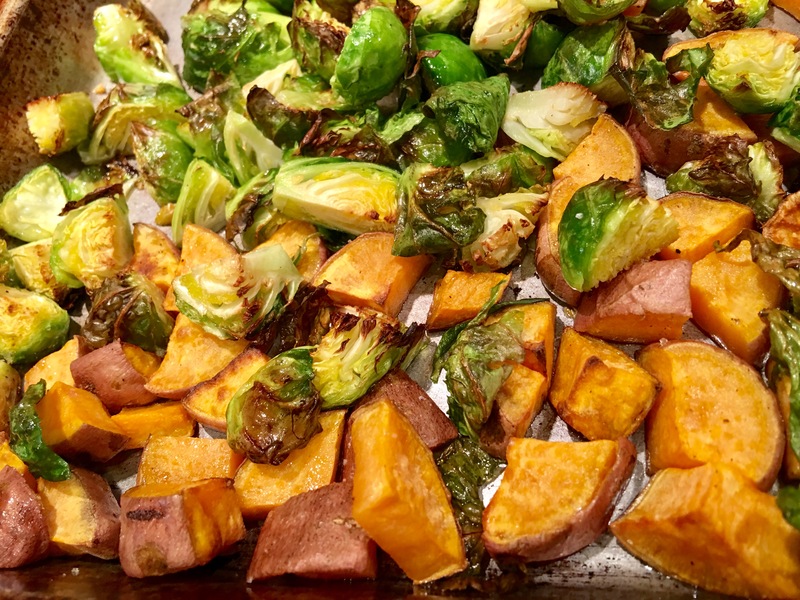 Roasting these Brussels sprouts and sweet potatoes brings out the sweetness and the flavor. Both are loaded with fiber that is good for disease prevention, gut health, and helping you feel full so you don’t overeat. I don’t like to brag about one vegetable more than another. It’s like choosing between my children, but when it comes to brain food, the sweet potato may just shine a little brighter. Sweet potatoes are especially good for supplying slow burning glucose, steady fuel for your brain, and are extra high in anti-oxidants to protect you from brain related disease. Admittedly, the combination may seem strange, but you won’t be disappointed. Everyone agreed that it tasted great! The Lemon Tahini Dressing ties it all together. Of course when you make this recipe with friends, it tastes even better! Make extra roasted veggies so you have enough for another night or two. You can see here that I fried an egg in place of the salmon and added a few chunks of ham I had in the fridge. I drizzled it with the Lemon Tahini Dressing and it was just as good as the night before. Nobody will know it’s the same meal again. Preheat your oven to 375 degrees. Spread the diced sweet potatoes and quartered Brussels sprouts in a single layer in a baking pan. Toss with a tablespoon of olive oil and some salt and pepper. Roast in the oven for 20-30 minutes until they are tender. They can be more or less roasted depending on how you like them. When they are done, set them aside. While the vegetables are roasting, mix all the dressing ingredients together in a food processor or blender for 30 seconds. If you like it thinner you can add a little more water. Set aside. Heat the 2 tablespoons of butter and olive oil in a non-stick frying pan. 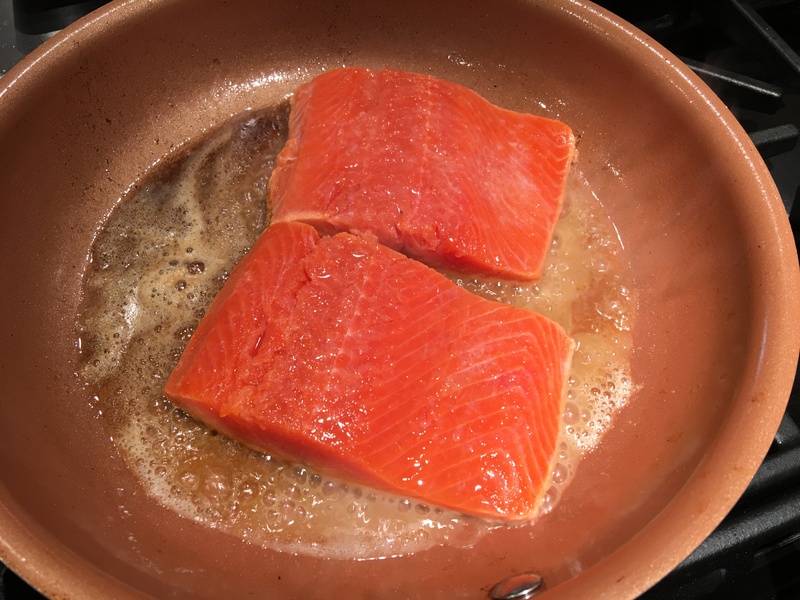 When the butter and oil are sizzling hot, add the salmon to the pan. Season with 1 teaspoon salt and squeeze the half lemon over the salmon. Pan fry for 5-7 minutes on the first side until the salmon is 3/4 cooked through. The time will depend on the thickness of your piece of fish. Turn the salmon filets over and continue cooking an additional 2-3 minutes until the salmon is done. Assemble your bowls. Layer the spinach and arugula in the bottom with the chopped tomatoes, carrots, avocado, Brussels sprouts, and sweet potatoes. Top with a heaping spoonful of the Lemon Tahini Dressing. Place a piece of salmon on top. Add a few spoonfuls of blueberries and toasted walnuts. Drizzle with some more dressing. Enjoy! Your brain and your heart will thank you.